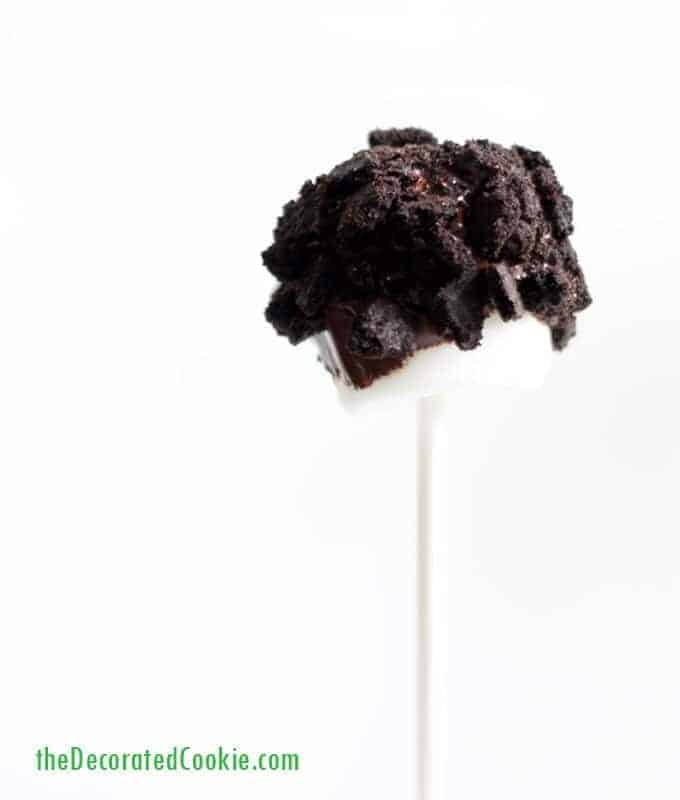 GIRL SCOUT COOKIES THIN MINTS MARSHMALLOWS -- on a stick. 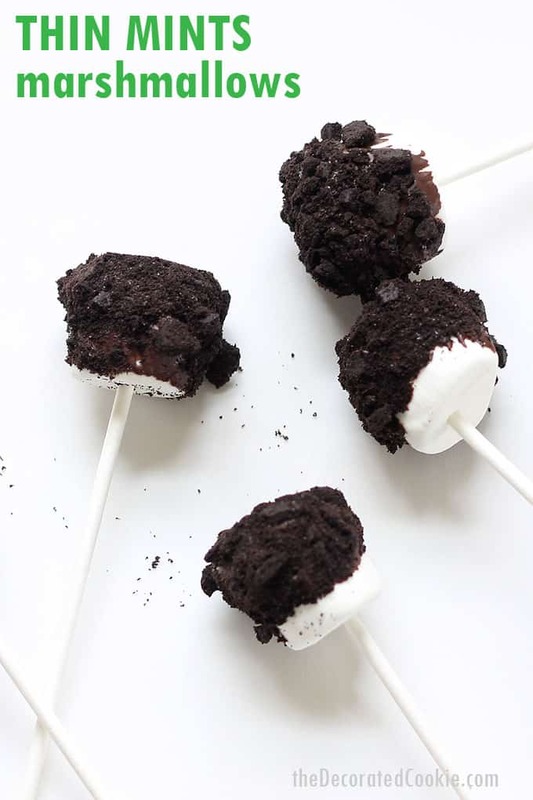 The flavors of Thin Mints Girl Scout cookies as marshmallow pops: Thin Mints marshmallows! 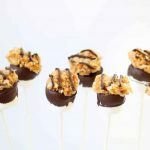 These Samoa Girl Scout cookie marshmallow pops were a hit, so I thought I’d try again with another Girl Scout cookie favorite: Thin Mints. Now, for the Samoas, I had a box on hand (still, somehow) to use for reference. But the Thin Mints are always the first to go, and my dealer (my eight year old Brownie) is done selling for the season, so I had to use my cookie memory for the flavor. It wasn’t difficult. Mint, chocolate and chocolate cookies. Done and done. Now I need to make Girl Scout cookie marshmallows from all the options. 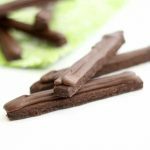 I’m kind of a mint purist, so I use real peppermint extract in these. I think you can taste the difference. Note that when you add liquid to chocolate it can cause it to seize a bit. So the chocolate will be a little thicker when dipping. I used this to the marshmallow’s advantage. As in, more chocolate is better. 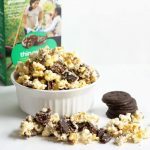 If you like these, try Thin Mints Popcorn or Girl Scout cookie chocolate bark Make your own cookies with this Thin Mints copycat recipe . 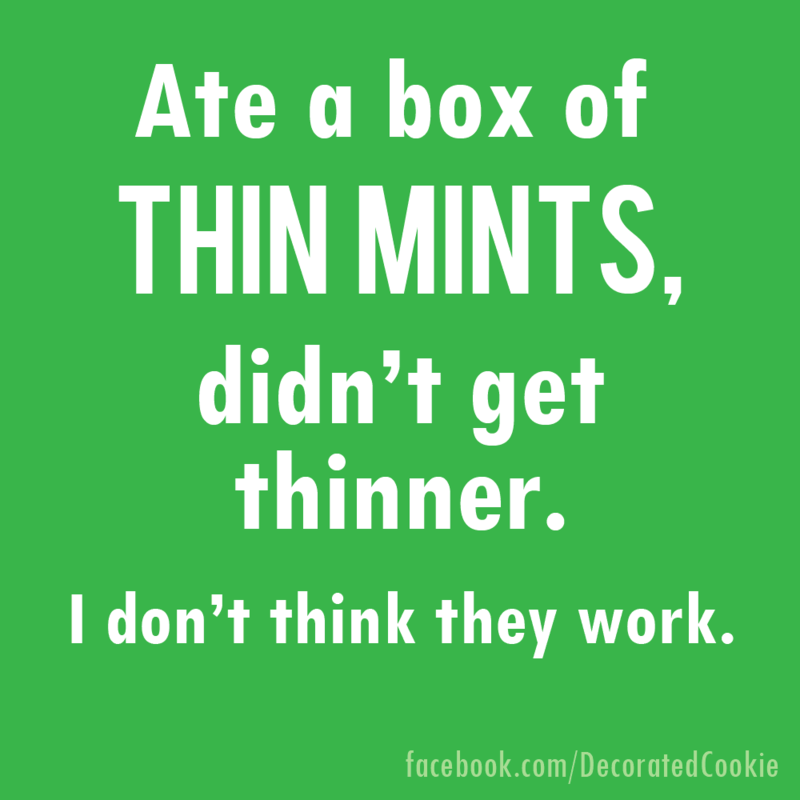 If you’re a fan of Thin Mints, you might appreciate this meme. It was pretty gosh darn popular on my facebook page. *I like the Nabisco brand, found in the cookie aisle of the supermarket. Place the wafer cookies in a ziploc and smash with a mallet or rolling pin. Pour the crumbs into a bowl. Line a tray with wax paper and set aside. 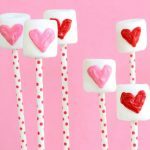 Skewer the marshmallows with lollipop sticks and set aside. 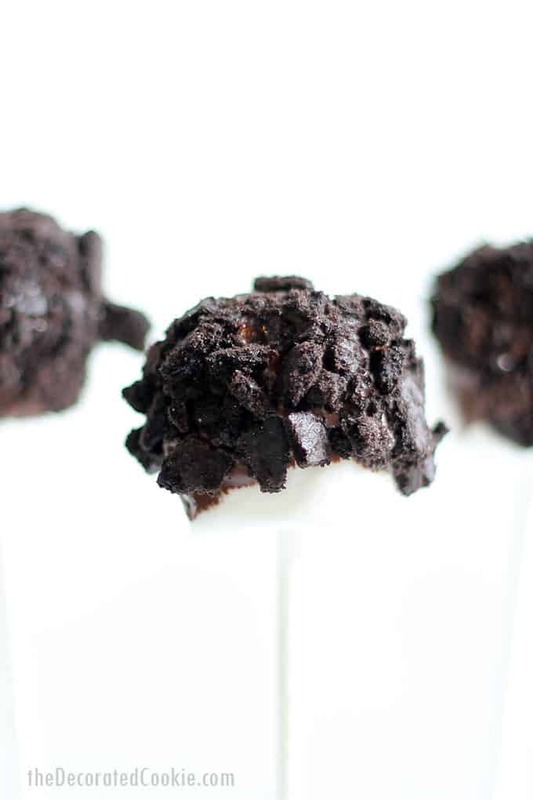 In a microwave-safe jar or bowl, melt the chocolate chips at 70 percent power for 90 seconds. Stir and continue to microwave for 15 second intervals until fully melted. Stir in the peppermint extract. Note the addition of extract may cause the chocolate to thicken slightly. 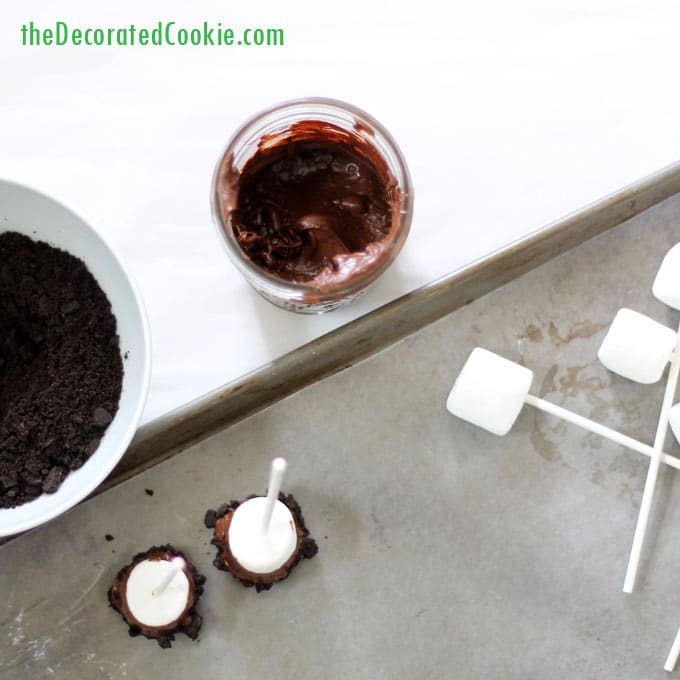 Dip a marshmallow in the chocolate, tap the stick against the jar or bowl to remove excess, and then dip in the chocolate crumbs. Rest on the tray lined with wax paper. 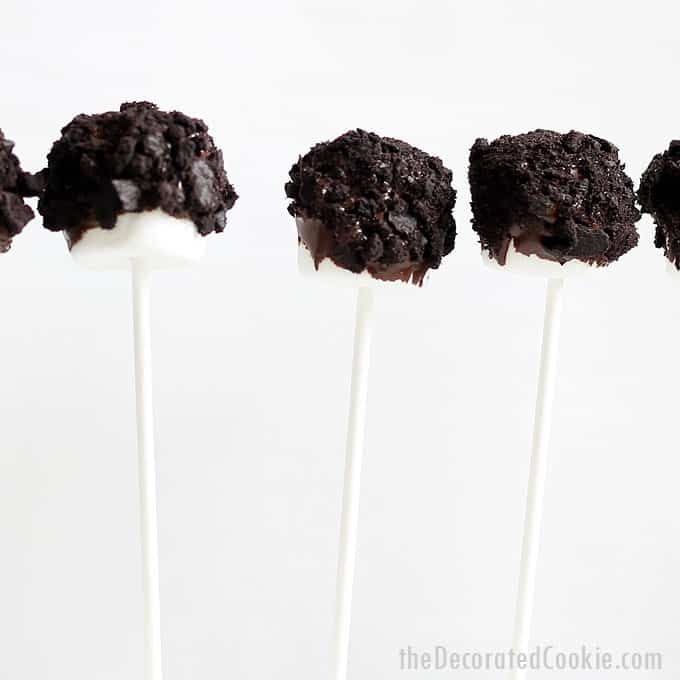 In a microwave-safe jar or bowl, melt the chocolate chips at 70 percent power for 90 seconds. Stir and continue to microwave for 15 second intervals until fully melted. Stir in the peppermint extract.